Hmmph. I must really like you. My beloved Jayhawks made a pitiful exit from the NCAA tournament last weekend, and I’m still sharing this recipe with you. Because I know many of you have a full weekend of basketball ahead of you and though I’m still smarting from the loss, I want you to eat well while you watch your teams win. Or lose. But if they lose, at least your tummies will be happy. If you want these to sit out for snacking during a long game or party, I prefer to keep the meat warm in a crock pot and have folks assemble themselves. (Otherwise they get cold.) 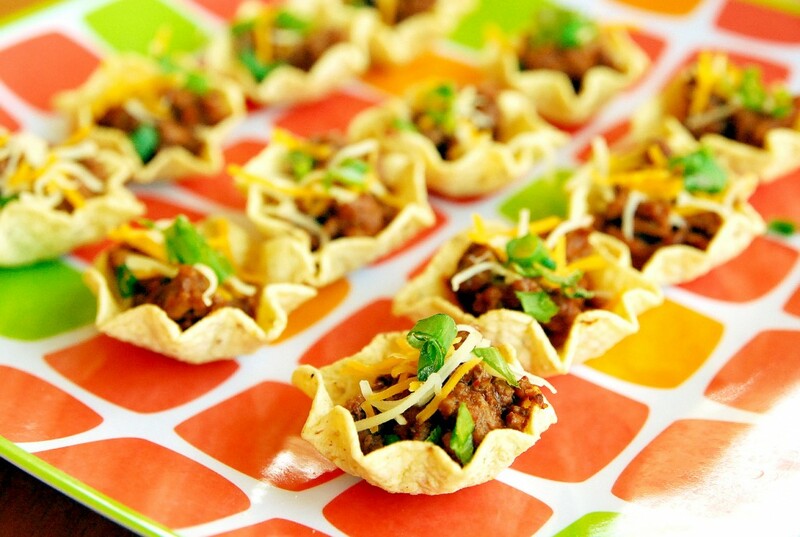 You can skip the baking part to melt the cheese as it will melt when placed over warm taco meat. Then just have a bar of garnishes for people to top with. Brown beef with taco seasoning according to package directions. 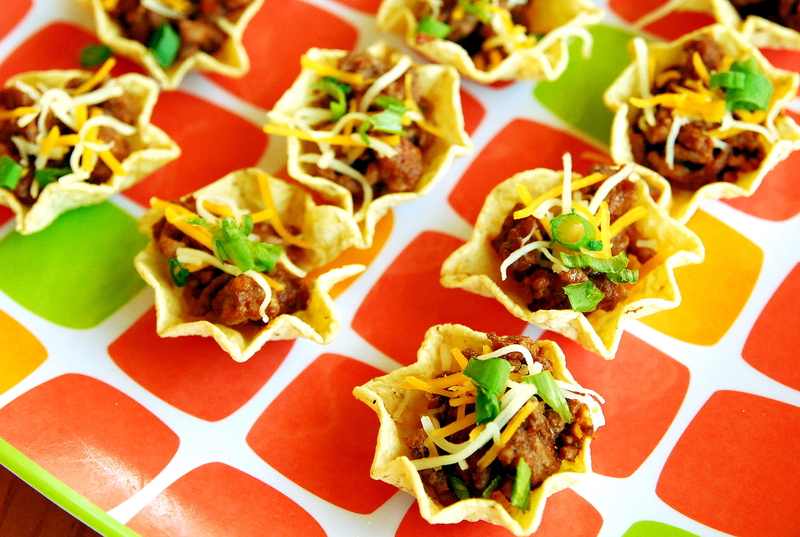 Use scoop chips and fill with meat and cheese. Bake at 350 degrees until cheese is melted, just a few minutes. Garnish with toppings as desired.